The largest, as well as the oldest island is Lipari. Its small town, Canneto, Aquacalda, Pianoconte and Quattropani have several churches that you have to visit, as well as Aeolian Museum, where you can find all the details about the place. If you climb to the top of Mount Sant’Angelo, you will have a panoramic view of all the islands. If you sail south, you will find Vulcano. 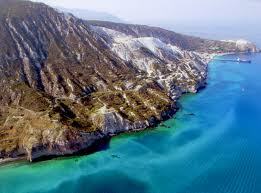 As the name suggests, it is an active vulcano which last erupted in 1880- 1890. Due to this fact, both sands and rocks get different colours: from pink to black, passing by red. Walk a little bit across the Martian landscape, ascend to the top of the Della Fossa cone, see sulphur rising from active fumaroles, enjoy the amazing sight of islands as far away as Panarea. It is a long walk, but don’t worry: the next day you will take the full day to yourself, sunbathing at the Fumarole beach or taking a therapeutic bath in one of the island’s famous baths. Here you can have all the comfort you need to relax and get ready for the following walk around the islands, in order to discover more unforgettable places and breath some fresh and clean air.